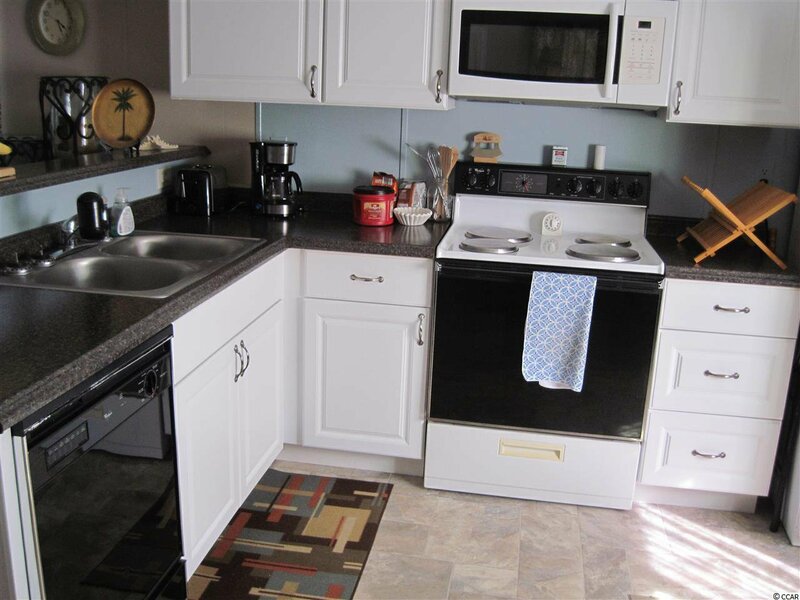 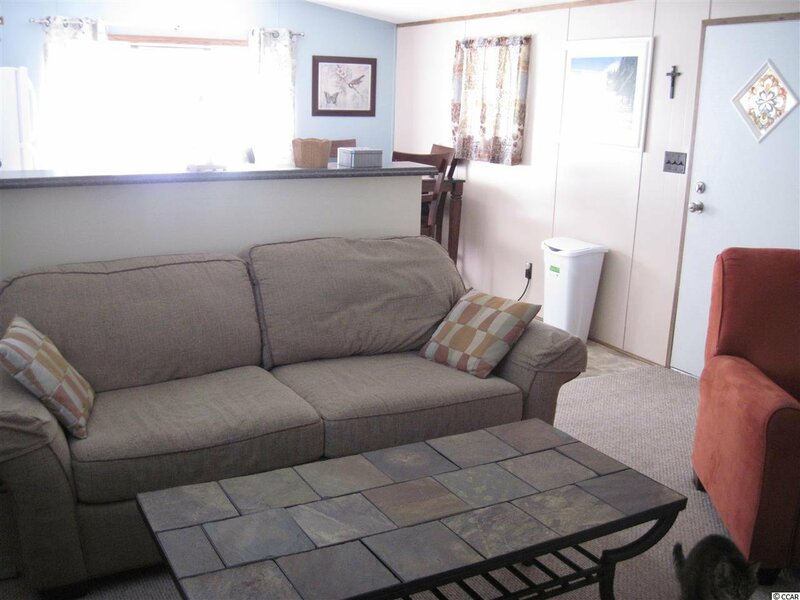 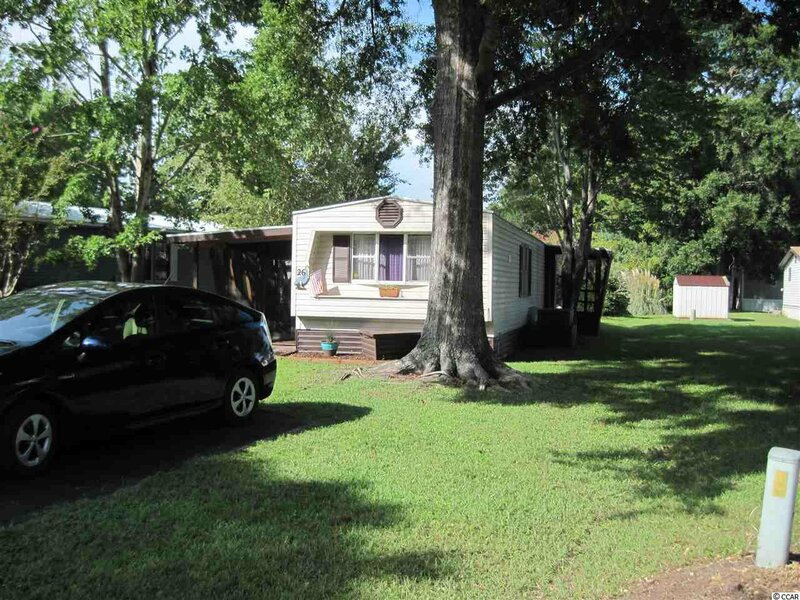 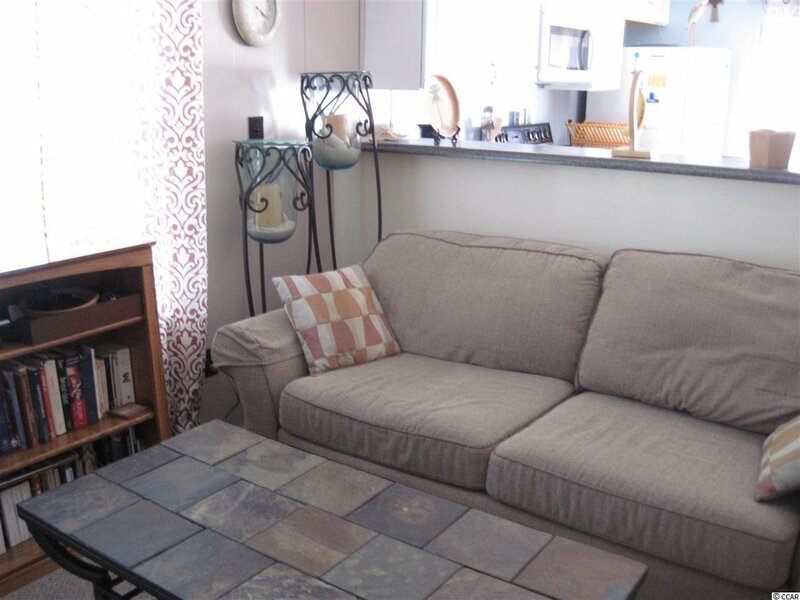 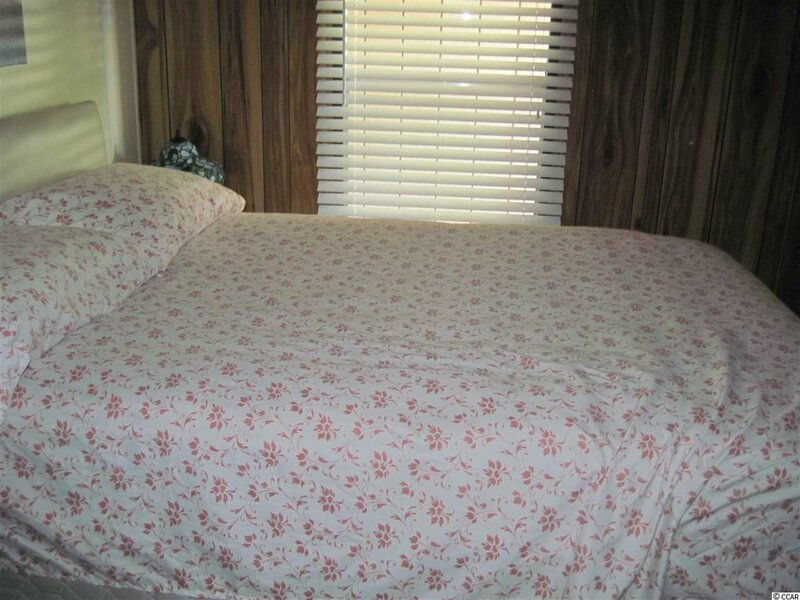 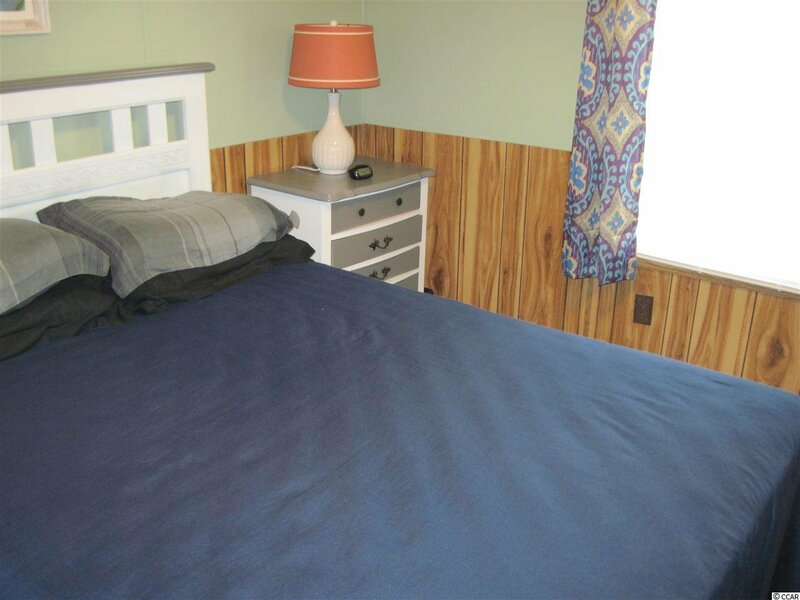 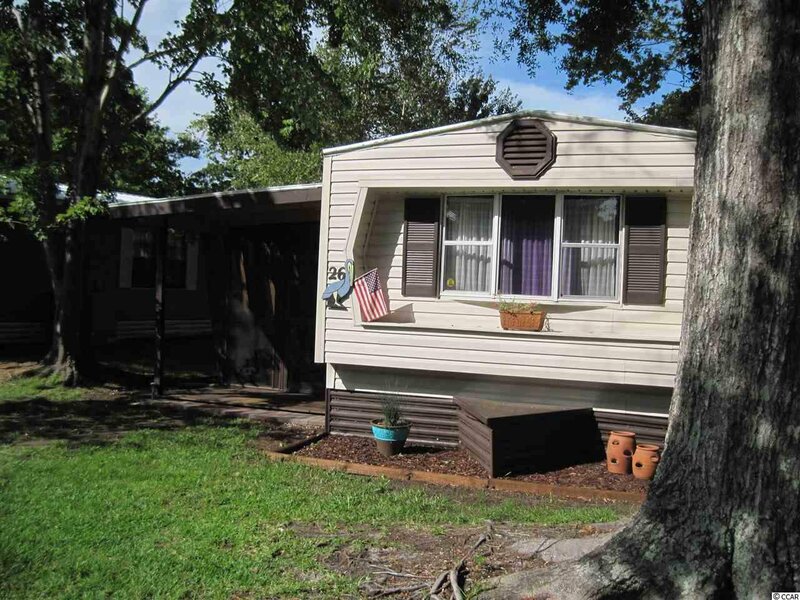 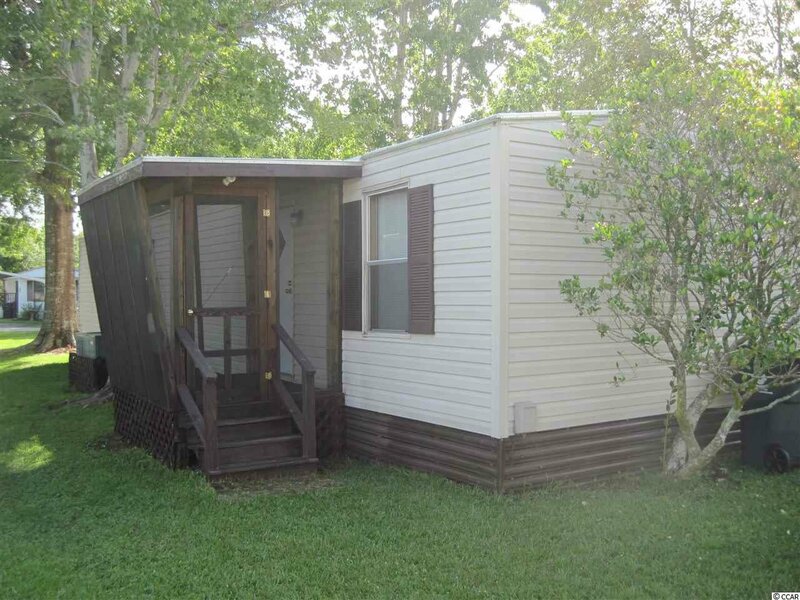 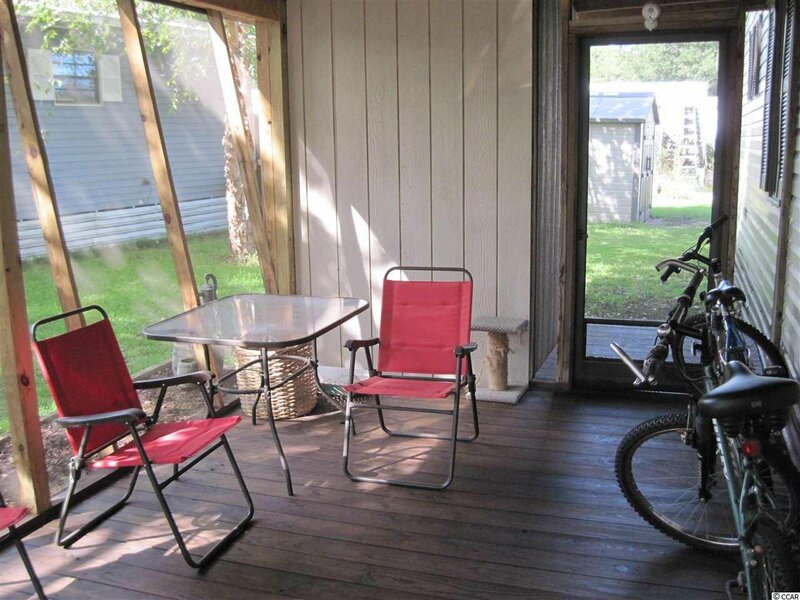 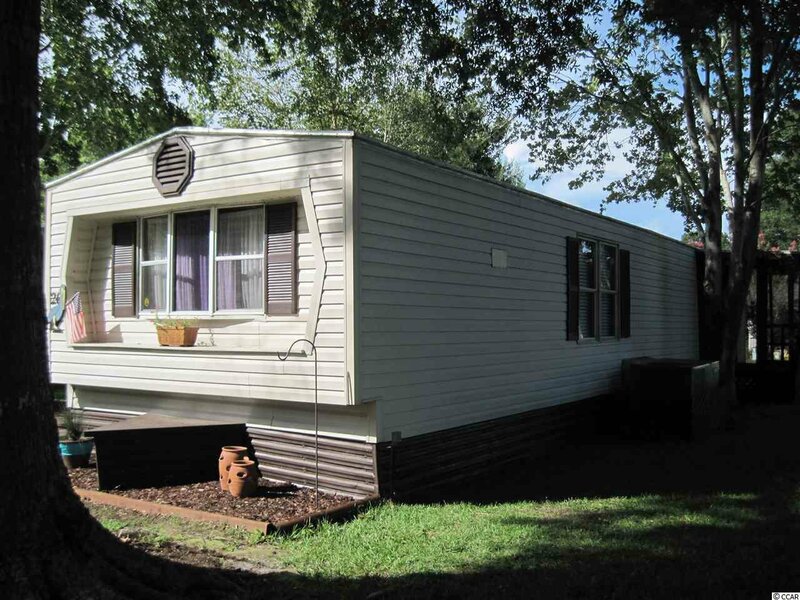 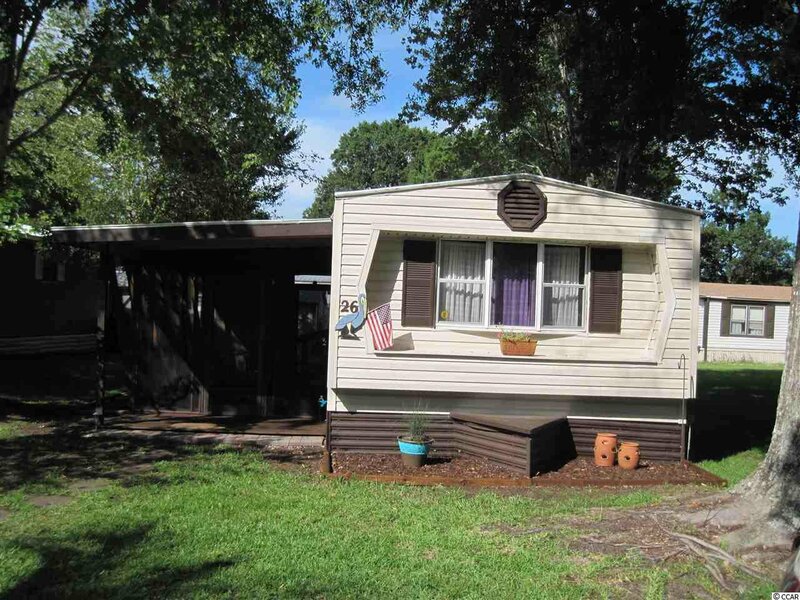 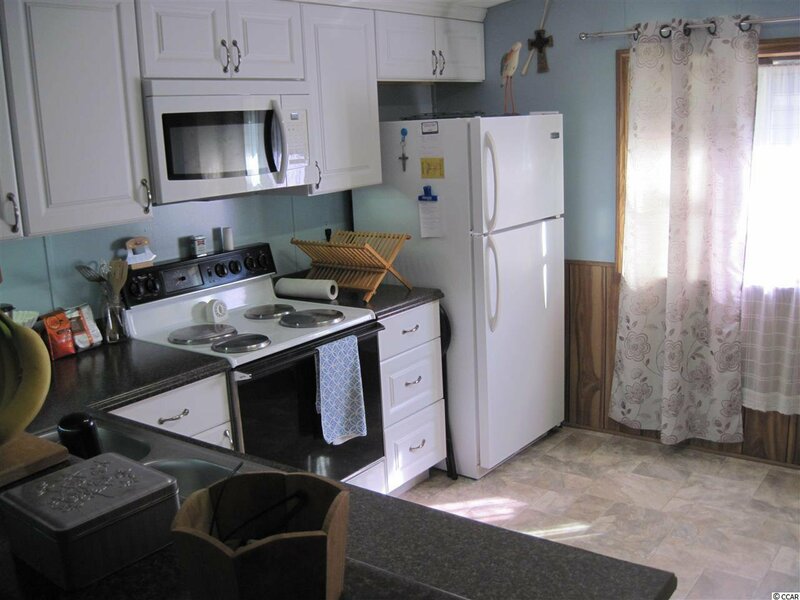 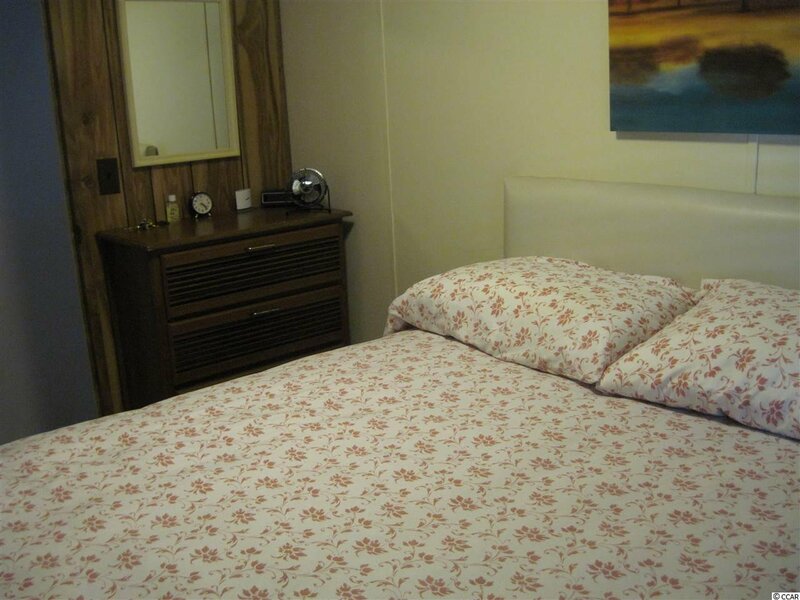 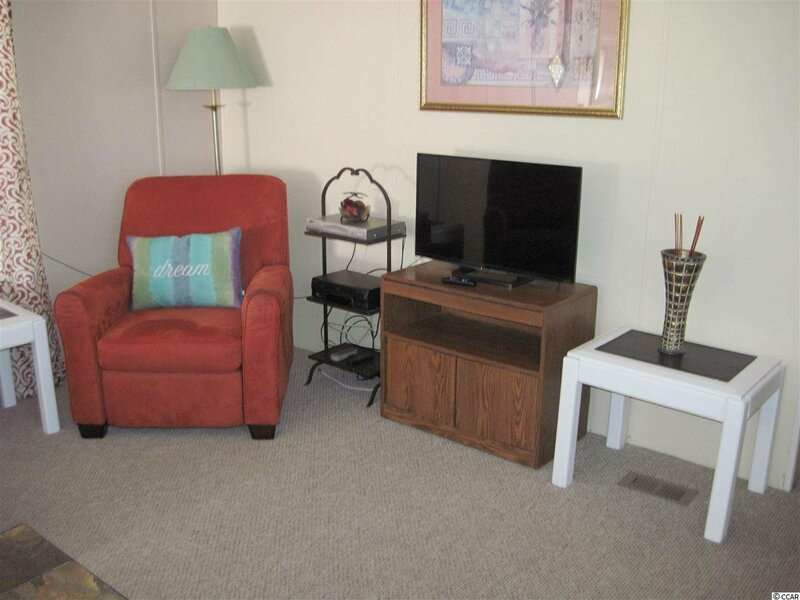 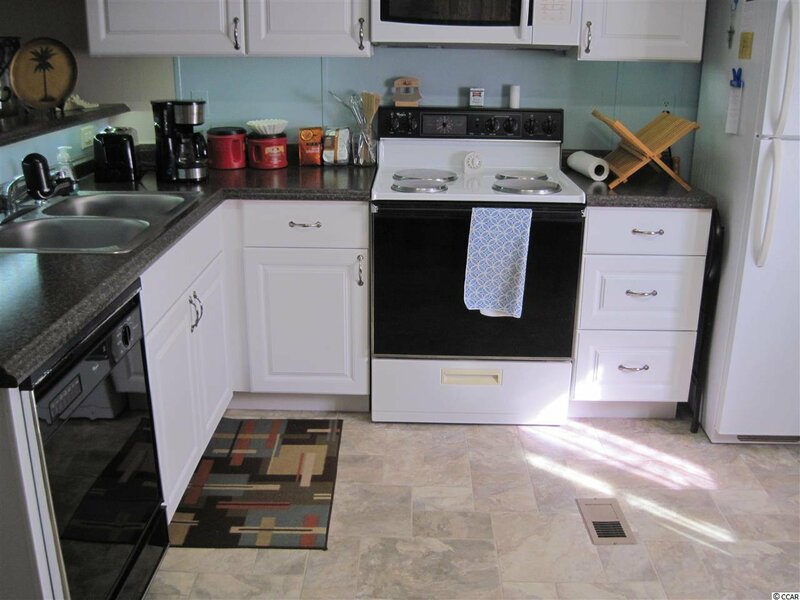 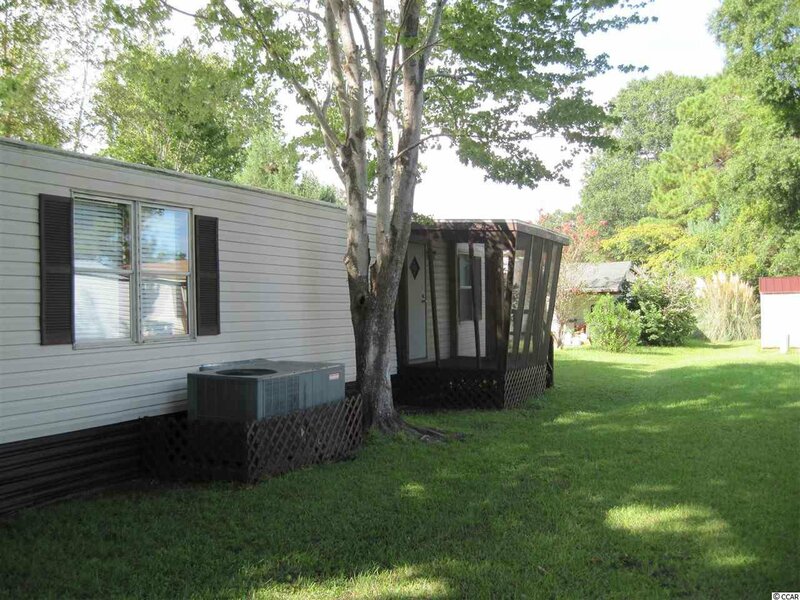 2 BR 1 BA manufactured home in Captain's Cove, a quiet community for folks 55 & older located in Murrells Inlet, SC, approximately 15 minutes South of Myrtle Beach. 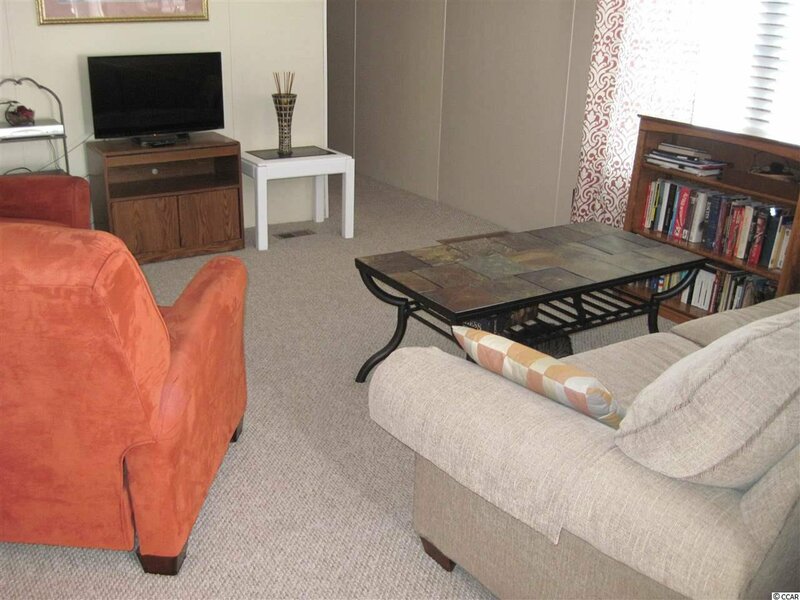 Community has a clubhouse & pool, and lots of activities for residents who wish to participate. 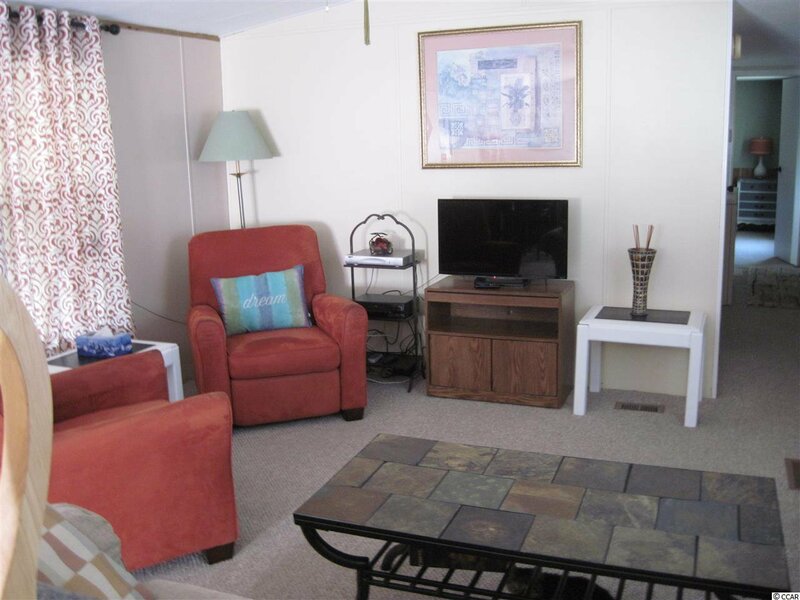 Near Murrells Inlet's famous sound front restaurants and boardwalk, close to Huntington Beach (Oceanfront) State Park & beautiful Brookgreen Gardens. 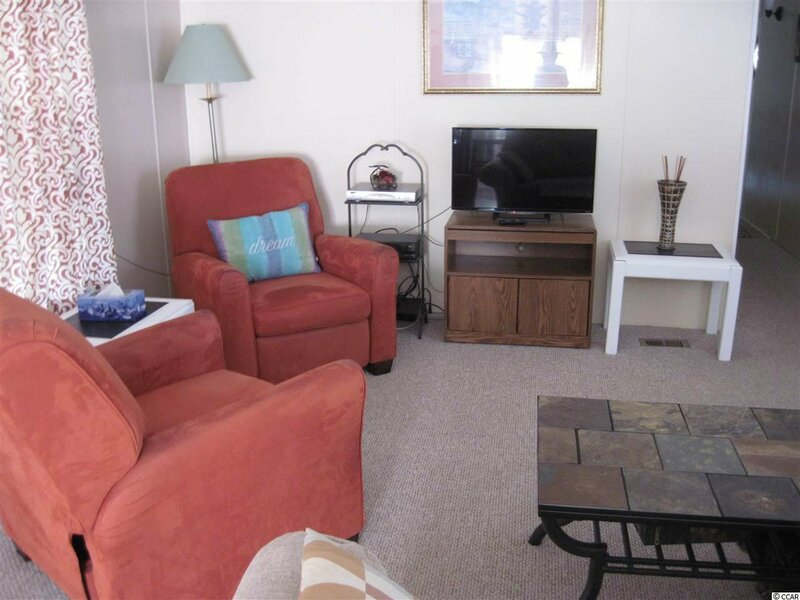 Also near lots of golf courses & many other types of entertainment. 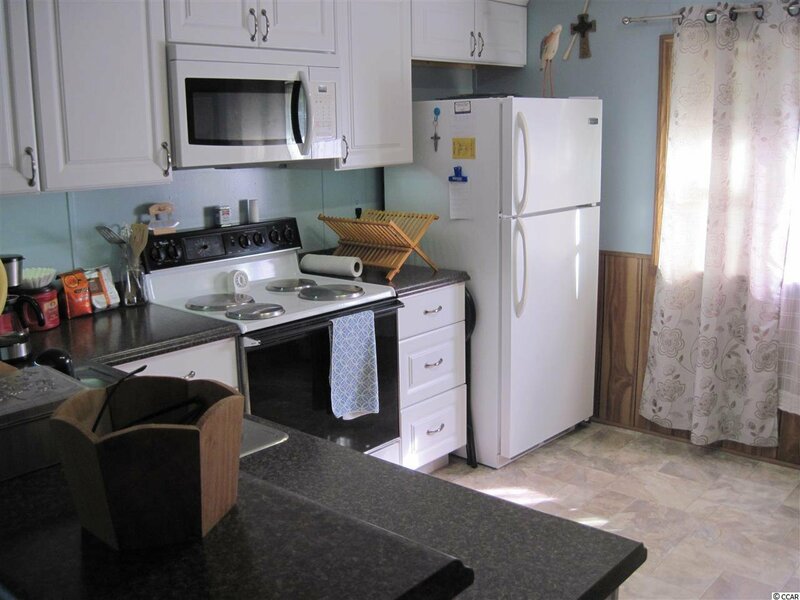 Only minutes from a modern hospital & doctors' offices. 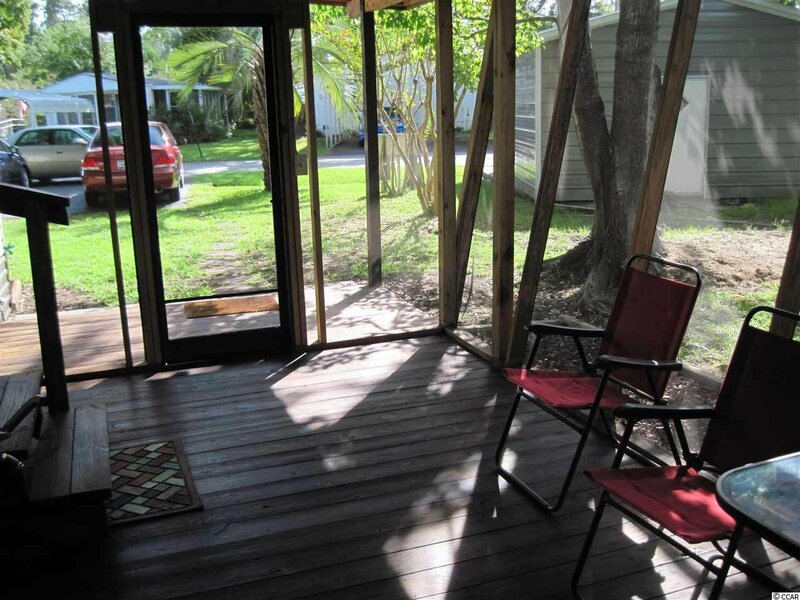 This a solid home in very good condition. 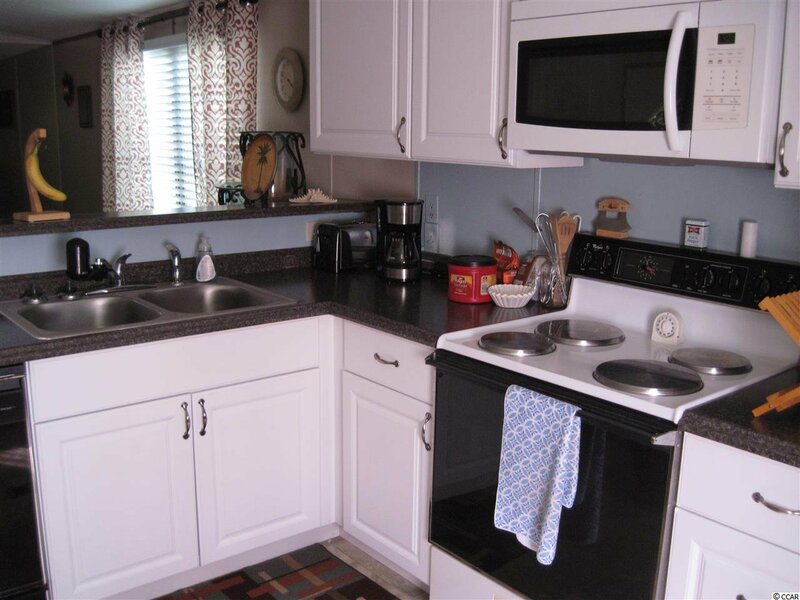 During the past 3 yeas, a lot of improvements have been made to this home. 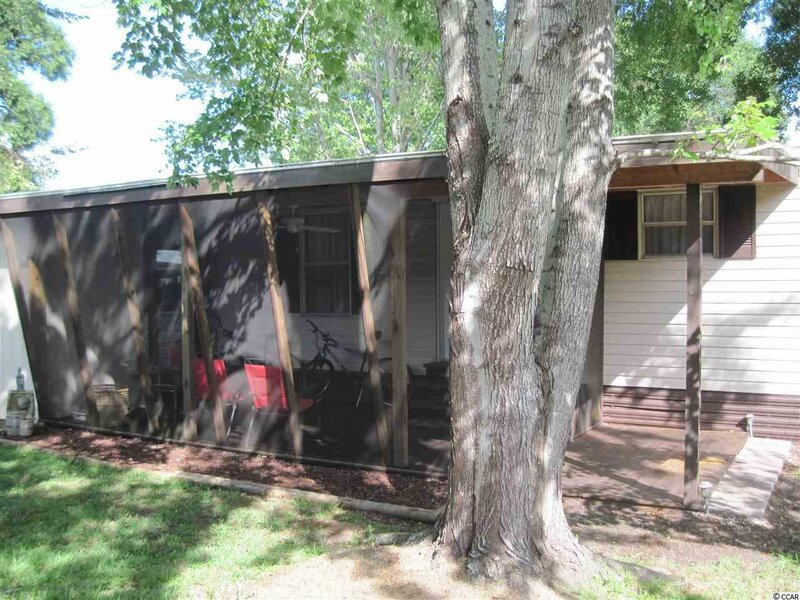 New plywood sub-floors, new carpet and vinyl floor covering, new kitchen cabinets and counter tops, remodeled bathroom, added large screen porch in front and small screen porch in rear. 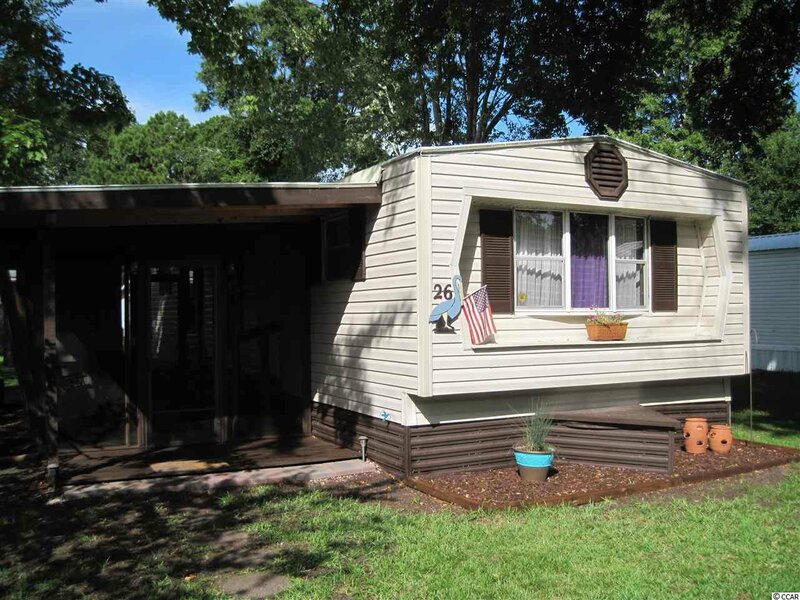 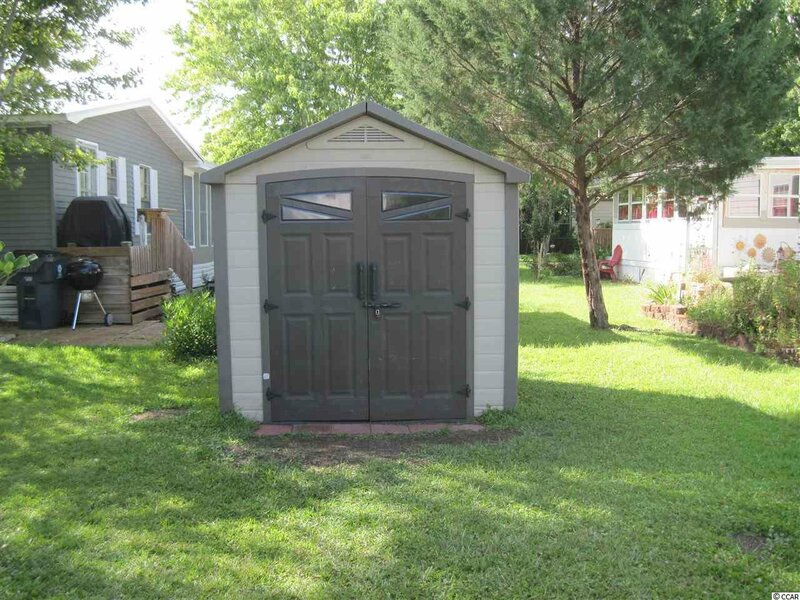 Installed new rubber roof, added decks at each end of front screen porch, plus, added an enclosed storage behind porch. 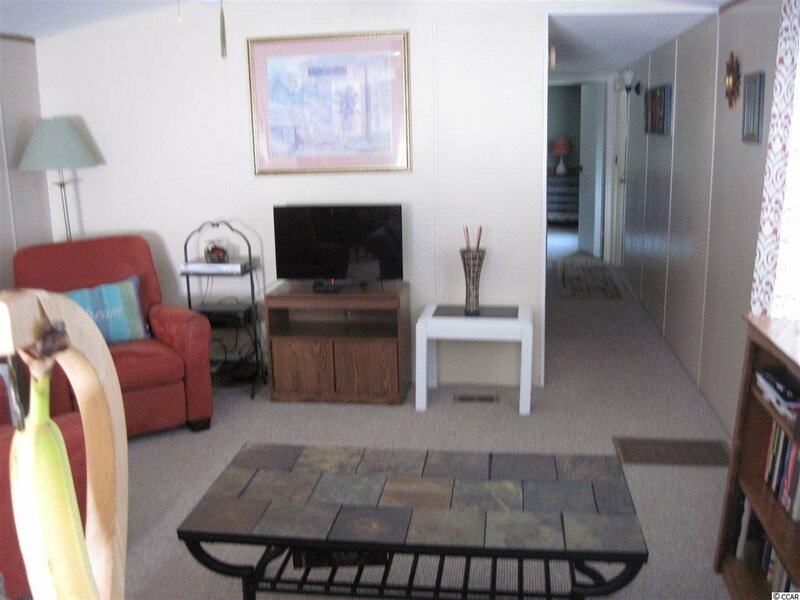 Painted inside ceilings and walls and put in new light fixtures and ceiling fans. 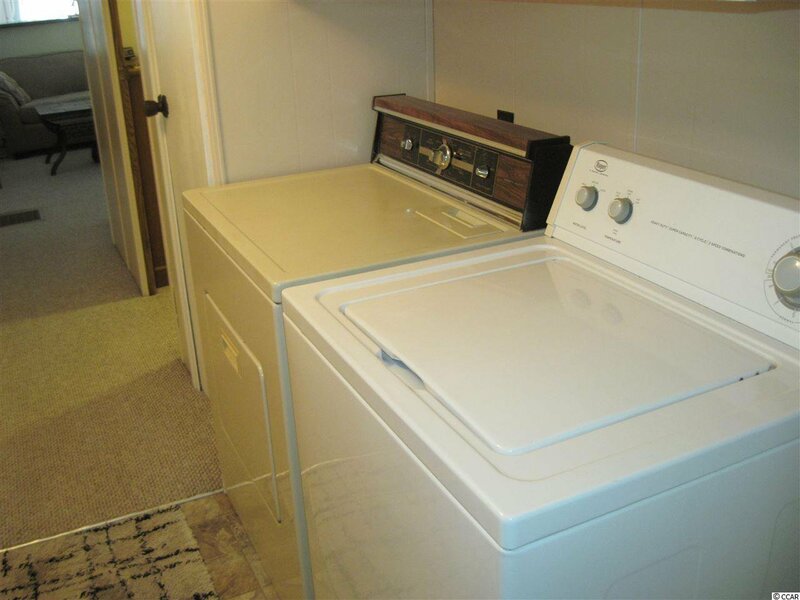 Home is being sold with kitchen appliances, washer and dryer, and outside storage bldg. 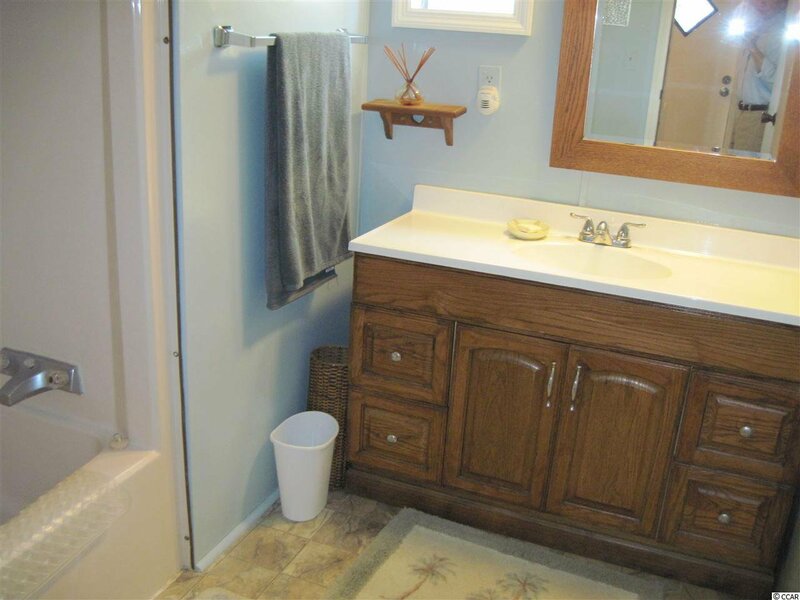 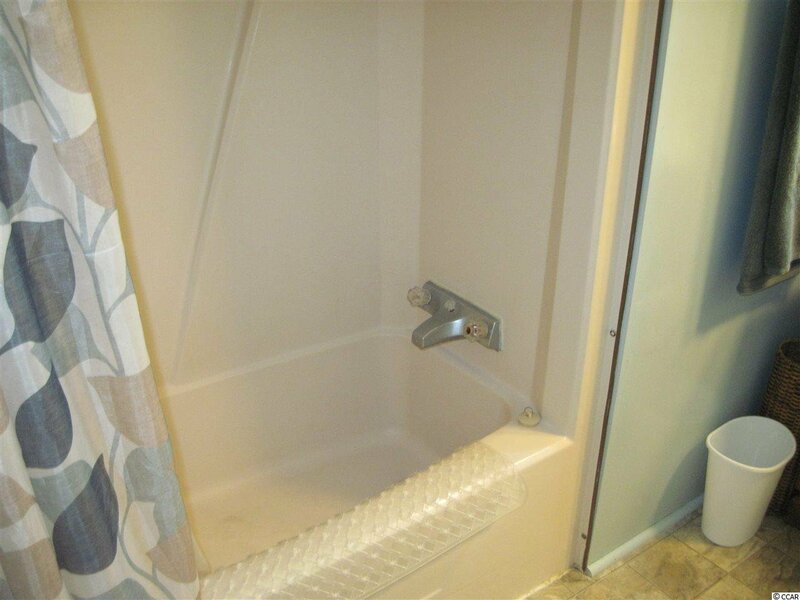 Very clean home, call today won't last long. 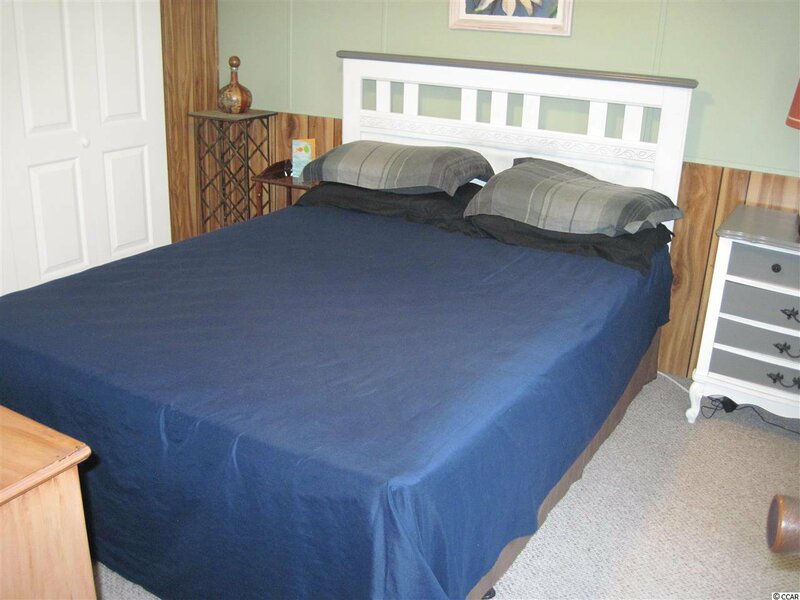 Listing courtesy of Associated Pearl Inc. , Richard Wilson. 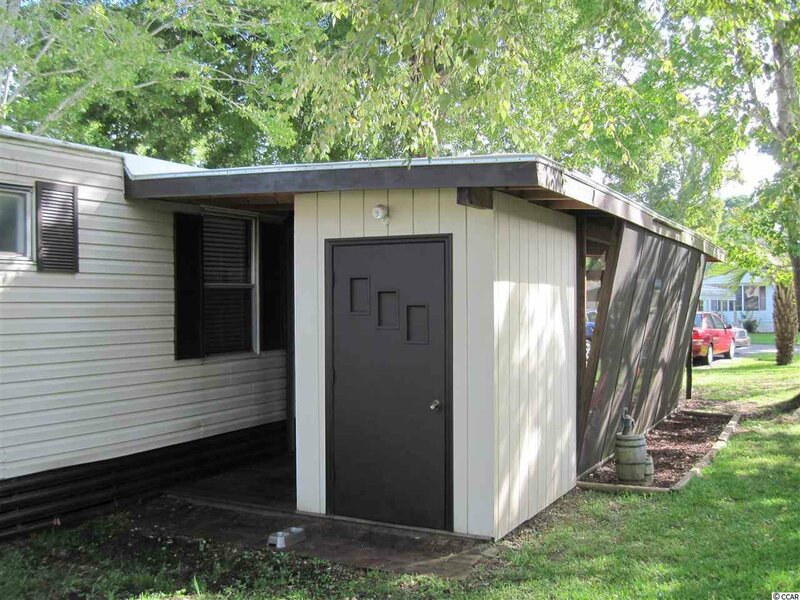 Selling Office: Associated Pearl Inc. , Richard Wilson.